my thoughts: The first word that comes to mind when describing The Company You Keep is disappointment. If you look at this stellar cast, one would think this film would challenge for an Oscar and be a major blockbuster. Instead the film is just another lame story about a guy who has hidden from the FBI for over 30 years for murder charges and for being part of the radical group, Weather Underground. This story sounds great at first glance, but when you dig deeper, the story moves at a snail’s pace, secrets that don’t even matter to the real story come to light, and way too many characters get involved. Sadly the Company You Keep really becomes a huge mess that provides us with a typical Hollywood happy ending. I challenged myself to watch this film as part of the Blind Spot series. The only reason I wanted to see it is because Brit Marling is in, and she is one of my favourite actresses. Most people would think I’d be interested in this film because of Robert Redford, but that wasn’t the case. I honestly didn’t even realise who was in this film until I finally watched the trailer. Speaking of the trailer, go take a minute and watch it. It’s really good isn’t it? Makes you want to find this movie right now and watch it. My advice would be don’t pay $5-6 to rent it on Video on Demand, try to find it Netflix and save yourself the money. It is not worth it. Preparing to write this review, I spent some time on Wikipedia to research this “Weather Underground” group. This was a real group back in the 1960s – 1970s and did some real crimes. I’m not sure that Nick Sloane/Jim Grant (Redford) is a real person or not, but his back story and current situation really tie in nicely with actual events. 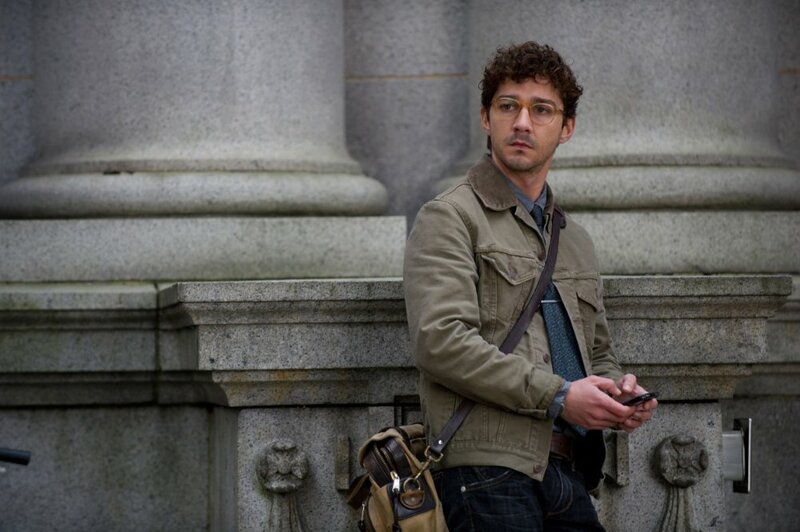 Thankfully we have super reporter Ben Shepard (LaBeouf) on the case because he so cut throat and self-absorbed that he won’t stop until he spills the story for his own personal glory. The movie really starts and stops with his reporter character, while Redford’s character spends the entire movie jumping through hoops. The best parts of this story is not the “guy on the run” but the big names of people who know his true identity. His former lover and side-kick criminal Mimi, is played by Julie Christie, her current boyfriend is a drug lord played by Sam Elliot. Together they know a mutual friend who has some deep connections played by Nick Nolte. Grant’s brother is played by Chris Cooper, while the FBI task force in charge of brining him down is headed by Terrence Howard. Anna Kendrick happens to work for the FBI and is a former lover of Shepard, who works for a guy played by Stanley Tucci. Amazingly Brendan Gleeson is a mutual friend of both Jim and Mimi, while his daughter is played by Brit Marling. The only person I left out is also a connected former radical himself, Jed Lewis, played by Richard Jenkins. This whole story unravels when Sharon Solarz (Susan Sarandon) gets arrested because she is tired of running. Such an amazing list of well know and versatile actors and actresses who are not really given a whole heck of a lot to deal with here. Seems everyone knows everyone’s dirty little secrets and have moved past their troubled times decades ago. When it all comes down to it, Redford’s character has a little daughter that he desperately wants to return home to, but needs to travel across the country digging up bones from his past in an attempt to clear his name. It’s been almost thirty years, no one is his friend anymore, and everyone has their life to worry about. The only real tense moments in this film are the ones when Shepard is pressing for answers to make the nightly press deadline. my final thoughts: I’ve said what I thought was positive about this movie and what I thought was negative. It would be hard to recommend this movie to anyone, even if they love a slow pace thriller. Robert Redford may be a legend in the film industry, on top of being a superb director, but his take on this 1960s radicals who grown up and to try hide from their evil deeds wasn’t for me. Agreed. Such a waster of talent. I saw this on a whim because I was bored and then only emerged more bored. 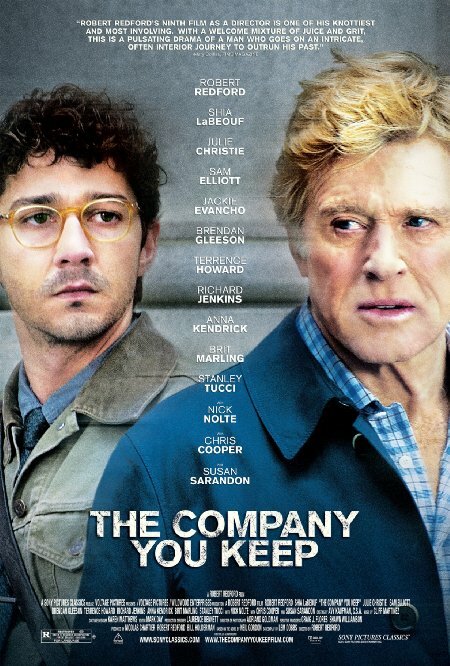 Thankfully Redford isn’t doing enough of these movies to completely tarnish his rep. I was thrilled when it was over and totally felt led on from the trailer. Thanks for agreeing! Apologies for not linking to your posts as they’ve been publishing – I didn’t know you were participating in the series! Later today I’ll add links to your past entries, and a link to your site in this year’s round-up post so that I remember to check in on ya with future posts. Thanks for joining in – and have fun blindspotting! Definitely disappointing. Makes for a much better book. I think the book would be tough to get through, but then again there wouldn’t be a solid Hollywood cast in the book to get our hopes up! ha ha Thanks for the comment. So true. Reading the book after can be a different experience on its own.